By default, license plates come with a seemingly random combination of numbers and letters — it’s a unique identifier for the car, not an opportunity to share a message with the rest of the world. 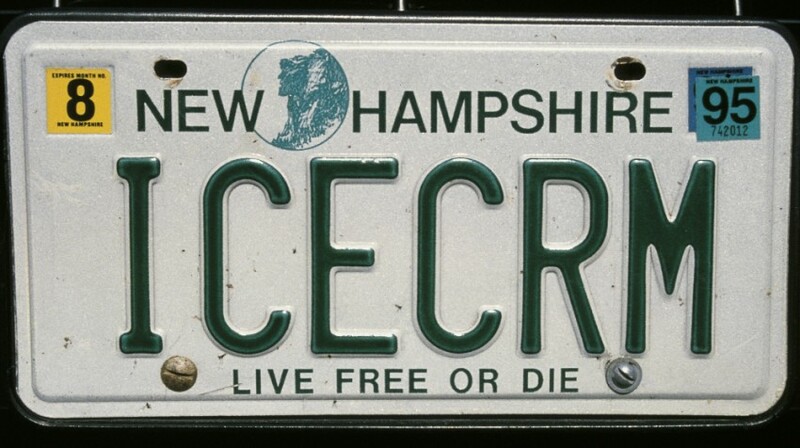 But in some parts of the world, if you pay a little extra, you can get a license plate that also expresses something about you. For example, if you’re really into Star Trek, maybe this one suits your fancy; if you like frozen desserts, this one works; if you’re a fan of rock music who doesn’t mind coloring outside the lines, try this; and if you really want the world to know why you’re speeding, you could go with this one. But there are boundaries to what one can put on a license plate. If you try to put on a curse word, chances are your local Department of Motor Vehicles will reject it. Similarly, messages of an overtly sexual nature are probably not going to fly. And bigotry and other messages that a typical person would find offensive? Forget about it. Which brings us to the plate below. 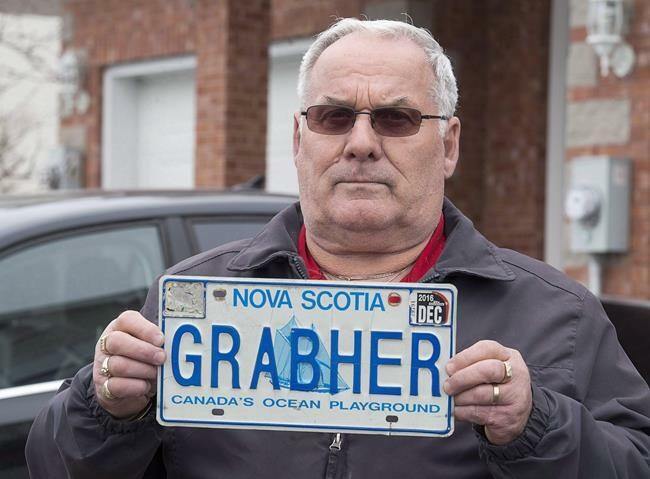 That’s a guy holding a Nova Scotia-issued license plate with the message “GRABHER” in large, capital letters. As of this writing, the license plate isn’t on his car — at least not legally — but until somewhat recently, it was. A couple of years ago, someone anonymously complained to the province’s Registrar of Motor Vehicles, asserting that the phrase was rather offensive and therefore, not one which should have been issued. The RMV commissioned a report on the question, asking academics who study language to weigh in. The report concluded, unsurprisingly, that the word “GRABHER” evokes imagery of violence against women, and the province, therefore, canceled the plates in late 2016. Most people would let their little license plate prank end right then and there, but the man above decided to fight back. That’s in large part because in his view, it wasn’t a prank nor a message intended to suggest that anyone commit sexual assault — it was, rather, a family heirloom. And he meant no offense by it. His proof? His name is Lorne Grabher. And he sued to get his plates back. Mr. Grabher, as CBC News reported, “first purchased the personalized license plate as a gift for his late father around 1990. It then became an expression of family pride in their Austrian-German heritage.” After his father passed away, he took the plate for himself (notifying the RMV in the process, one assumes), as a way to remember his deceased dad. And his son, who lives in Alberta, Canada, has the same word on his plate, as seen here. There’s ample reason to believe that no message of assault was intended by the family’s choice to put their last name on their cars. Mr. Grabher argued, via a court filing (republished in Harper’s Magazine), that even if that’s true, Nova Scotia turns a blind eye to a lot of other offensive phrases. Specifically, he cited “recent advertisements placed on Halifax Transit buses” (including one that read “Be proud of your Dingle”) and “government-regulated Canadian place-names” (such as “Crotch Lake, Ontario”). And none of them have a way to indicate their etymology, either. He’ll find out whether those arguments work soon enough — the court is expected to hear arguments in Grabher v. Registrar of Motor Vehicles at the end of the month, ending this three-year saga. Bonus fact: Nova Scotia has had the same provincial flag, seen here, since 1858 — kind of. That’s definitely the flag, and it’s the only one used by to represent the province in any official capacity throughout the province’s history. But until 2013, that was mostly out of tradition. That year, an eleven-year-old named Regan Parker was researching the flag’s history for a school project and couldn’t find any evidence that the flag had been formally adopted. And it wasn’t because her research was inadequate — it turned out that the Nova Scotia government just never got around to it. That May, the government fixed the error. From the Archives: Operator Unknown: The vanity plate that attracts a lot of parking tickets.